Sometimes, real life imitates art so much you have to blog about it. 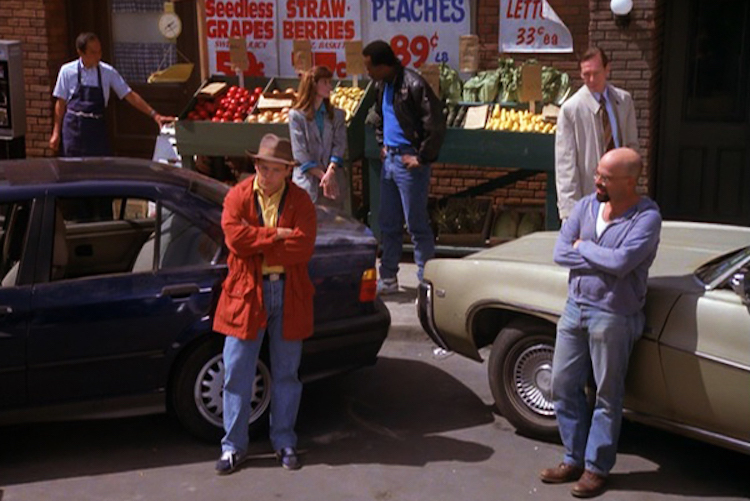 At least, that was the case when this trending hours-long parking dispute relived one of our favorite Seinfeld scenes: the classic battle of Costanza v. Moffitt. George “clearly” had ownership of the spot as he moved just ahead of the spot to parallel park. Meanwhile, jackass Moffitt thought he could swindle his way in by parking head first. The trending dispute took place on a Tuesday night in Los Angeles during rush hour, commonly known to locals as a ruthless and ungodly time when it’s every man for himself. Not even women get preferential treatment at such a time. It’s the closest thing humans will find to ‘survival of the fittest, caveman-like’ conditions. The Koreatown car debate has sparked a Twitter rampage of people, even celebrities like Chrissy Teigen, weighing in on #TeamBlackCar v. #TeamSilverCar. The answer is obvious, however, we thought the same thing back when some idiots heard Yanny. Was this all staged to get a rise out of the Internet? Unlikely. Los Angelenos value nothing more than a quality parking spot during rush hour on a weekday. They’d give up all the celery juice in the world for it. Obviously, we’re all day #TeamBlackCar. Which side do you choose? Is the dress blue or is it yellow? Is it Laurel or Yanny? Does anyone else feel like they’re taking crazy pills! ?